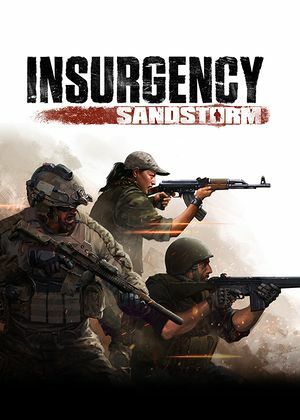 All versions require Steam DRM and a constant internet connection for all game modes. 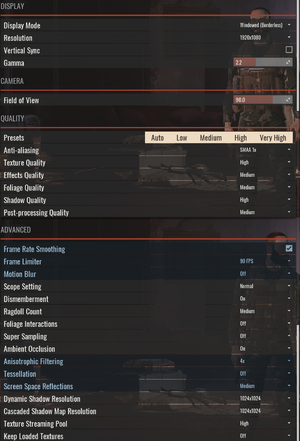 FXAA, SMAA, SMAA T2x, TAA with additional options to enable super sampling up to 2x. 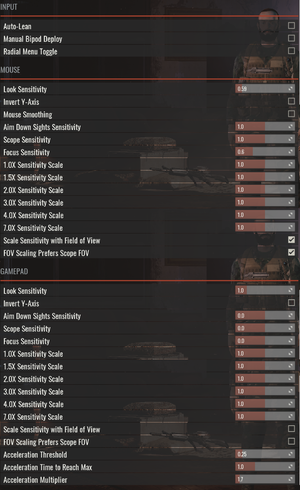 Separated between three aiming modes: normal, scope and focusing as well are different sensitivity multiplier for 7 different scope levels. Not available as of yet. Whilst widely shared, this is potentially a placebo. This command loads all texures into memory. As such, high VRAM (8 GB) and system memory (16 GB) is recommended. ↑ 1.0 1.1 File/folder structure within this directory reflects the path(s) listed for Windows and/or Steam game data (use Wine regedit to access Windows registry paths). Games with Steam Cloud support may store data in ~/.steam/steam/userdata/<user-id>/581320/ in addition to or instead of this directory. The app ID (581320) may differ in some cases. Treat backslashes as forward slashes. See the glossary page for details. This page was last edited on 3 April 2019, at 02:44.